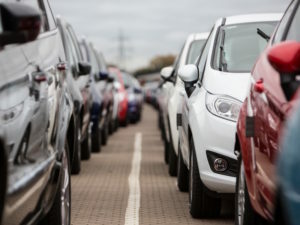 The SMMT said fleets were responsible for most of the new car market growth last year, with registrations up to a record 1.38m units. Latest figures from the Society of Motor Manufacturers and Traders (SMMT) show that the new car market saw a record 2,692,786 registrations in 2016, up 2.3% and marking the fifth year of growth. December marked the second only month of negative growth in 2016, as registrations dipped -1.1% to 178,022 units. The fleet market was credited with helping to drive the growth, with a wide choice of new car models and affordable finance deals also helping to spur registrations on. Fleets were responsible for most of the growth, with demand growing to a record 1.38 million units for the year – up 4.8% and giving the sector a 51.3% market share compared to 50.0% for the whole of 2015. According to both the BVRLA and Lex Autolease, a significant year-on-year rise in personal contract hire (PCH) was a key factor in the overall growth. The sub-25 ‘Business’ market saw a decline of 1.2% for the year, bringing it to 105,786 units, despite a 50.9% increase in December registrations to 8,257 units. The private market remained near last year’s record level, with a 0.2% decline to 1,206,250 units, although demand fell over the latter three-quarters, with December recording a 5.5% drop to 67,640 units. Diesel and petrol cars continued to be by far the most popular fuel types for consumers with market share at 47.7% and 49.0% respectively. However, alternatively fuelled vehicles (AFVs) experienced a strong uplift in demand, up 22.2% across the year. Plug-in hybrids and petrol electric hybrids, in particular, experienced significant growth, with demand up 41.9% and 25.1% respectively. Meanwhile, more than 10,000 motorists chose to go fully electric in 2016 – up 3.3% on 2015.